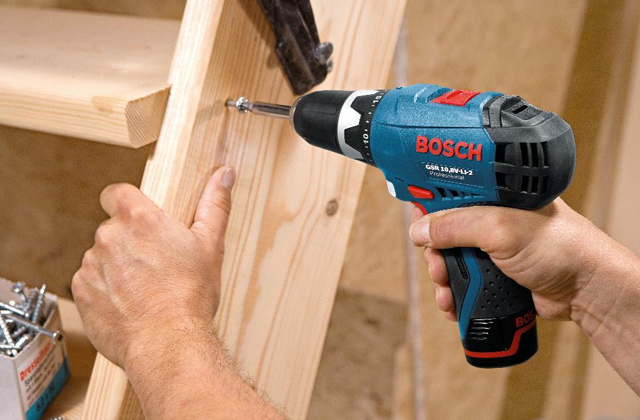 Owing to the big weight of the power tool, stable operation and fewer vibrations during the use are guaranteed. A square-cut table holds the dies perfectly. The scroll saw would become an irreplaceable tool for both novices and pro woodworkers owing to its high efficiency and user-friendliness. What's more, it suits perfectly for carving on large and thick timber blanks. 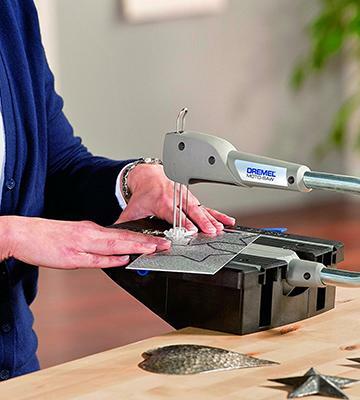 With the help of the flexible drive shaft (included), you can transform your fretsaw into a dremel tool that can be used for cutting, polishing, and grinding blanks. The inbuilt clamps for pin-end blades fixing aren't compatible swirl blades. If you work with small timber blanks and need to carve some complicated patterns on them, this model would surely come in handy. Keep focused on your task and don't be distracted by complex adjustments as the replacement of blades is effortless. 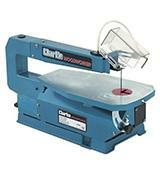 This compact and really lightweight scroll saw can be used as both stationary and portable tool. The machined material may run hot during saw-cutting because of high operation speed. 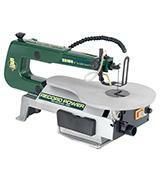 The modest power of this scroll saw is fully compensated with all-purpose capabilities and ease of use. 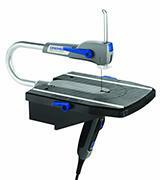 The Dremel scroll saw can be the best choice for home use. 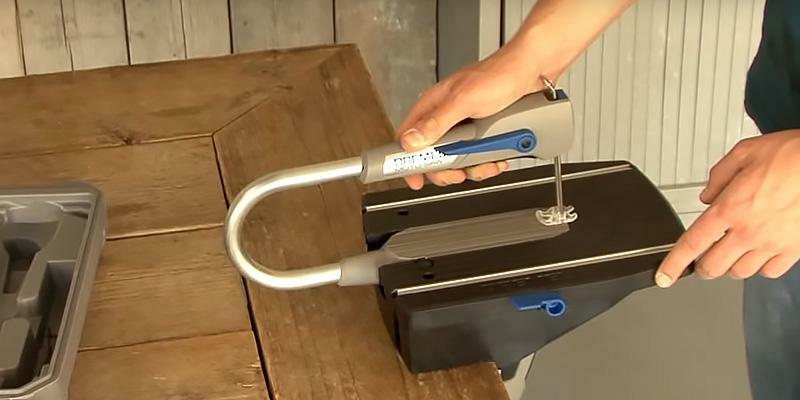 For your safety and extra convenience, the scroll saw is designed with the adjustable blade guard to protect your hands and eyes. The process of fine-tuning the saw is a bit tricky due to the inconvenient location of the tension adjusting screw. 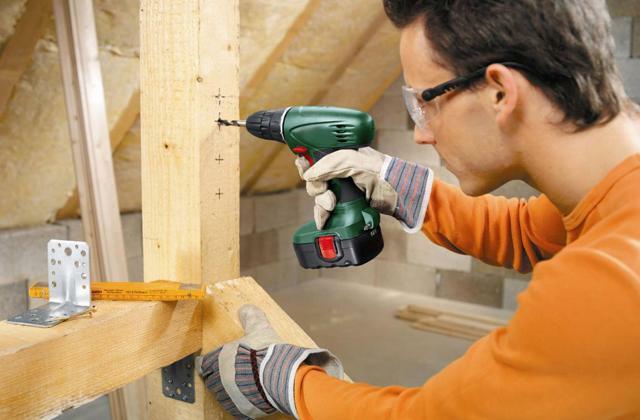 The combination of high-efficiency, user-friendliness, and moderate price in one unit would be highly appreciated by novice carpenters who don't want to spend much money on a fretsaw, yet want it to be high-performance enough. A flexible work light will illuminate a wooden blank, hence you don't need to install a separate lamp at your working place. It is recommended to fix the saw to a stand when working at high speeds. 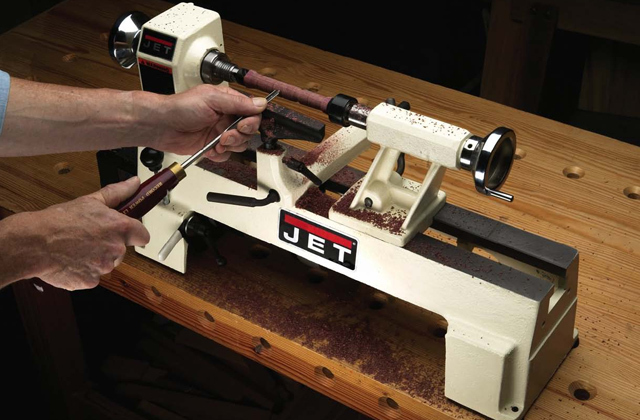 It is the perfect tool for small workshops as it takes little space and can be easily removed from one place to another. The fretsaw is lightweight enough to be mounted single-handedly. 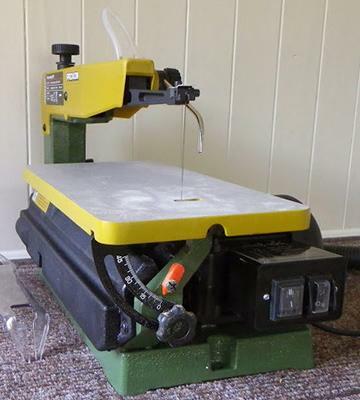 When looking for the first scroll saw, the newcomers to woodworking usually consider some models that will not only help them learn the ropes of this craft but will also meet their demands in the future. Thus, you should definitely opt for the Proxxon Micromot DSH. This scroll saw doesn't feature any sophisticated control systems and doesn't require fine tuning or special maintenance. To cut a long story short, it is ready to operate right out of the box. 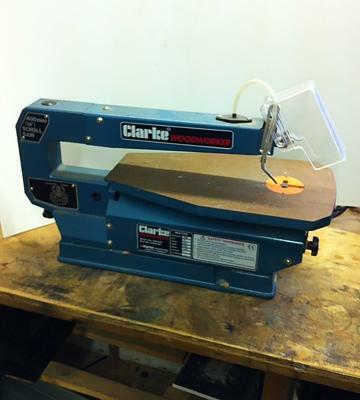 We should also note that the scroll saw accepts both pin-end and pin-less blades. Regardless of the blade type you need to clamp, the whole process will be performed quickly and easily. You don't need to remove the blade holder; simply release the tension and remove the blade. And no tools are required for blade replacement! Furthermore, we were surprised with the unusual square cut shaped table of this tool as the majority of scroll saws come with the drop shaped one. Perhaps, someone may find this innovative table unhandy, yet it is a viable option if you work with large wooden dies and wish to cut accurately. Finally, the Proxxon Micromot DSH features a variable speed control, so you can choose between 2 available modes depending on the material you are working with. The Scheppach Sd 1600F fretsaw differs from other scroll saws in one unique feature that is meant to improve the cutting accuracy as well as shorten the time required for carving different details. Well, this peculiarity is a flexible drive shaft with a collet chuck that should be attached to the scroll saw's motor. 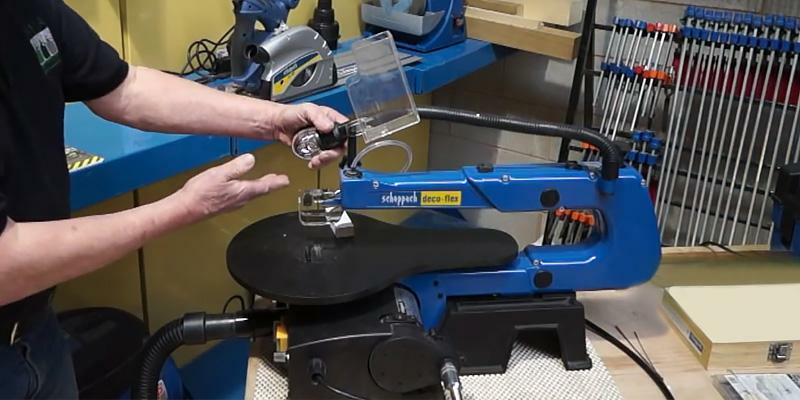 As you might have already guessed, in such a way you will transform your scroll saw into a dremel tool that can be used for cutting, grinding, polishing or removing some minor burrs from a wooden die. What's more, the scroll saw comes fitted with a set of different tools; hence you will be able to bring all your carving ideas to life. It should not go unspoken that the Scheppach Sd 1600F scroll saw comes with adapters for pin-less blades clamping. At first, we thought that this feature would add to adjusting fuss, however, the opposite is true. If you spend several minutes to fix the blades in the adapters in advance and place them in special groovings, you will always have them at hand and will be able to change the blade in a matter of seconds. 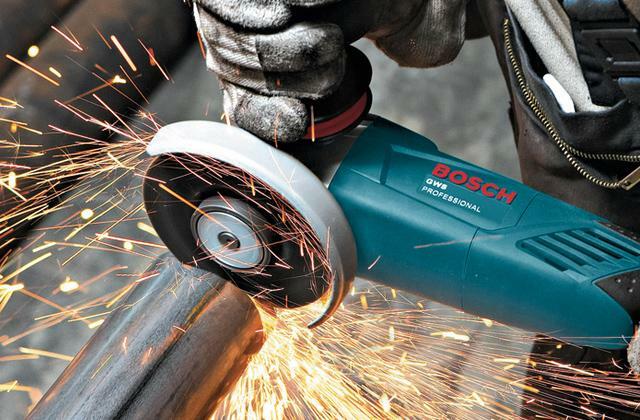 In general, this power tool is the iconic example of scroll saws, yet with lots of innovative features. After reviewing a great number of different scroll saws, we can easily say that most of the models are suitable for crafting intricate things. 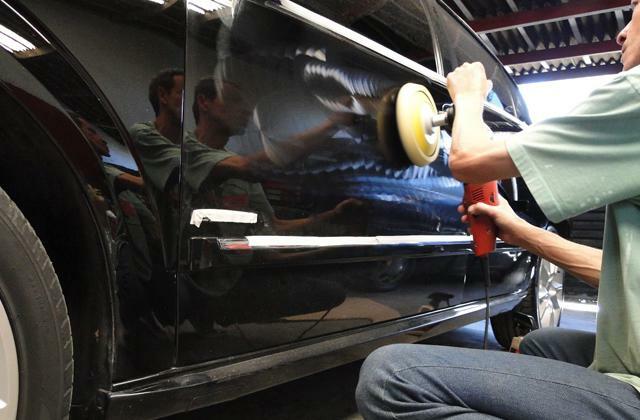 Yet, a challenge is possible if one needs to carve in wood or metal fixed firm to some surface. For this purpose, using a scroll saw with a base wouldn't be appropriate. What you could do, though, is to get this Dremel MS20-1/5 scroll saw and benefit of handheld and stationary cutting capabilities. 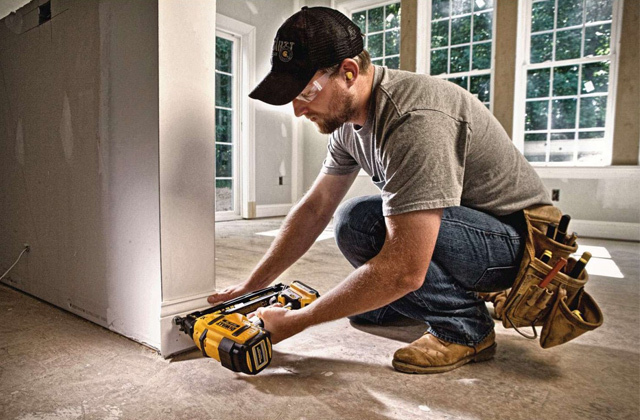 Unlike the majority of bulky scroll saws, this one can be used as both, depending on the tasks you need to perform. 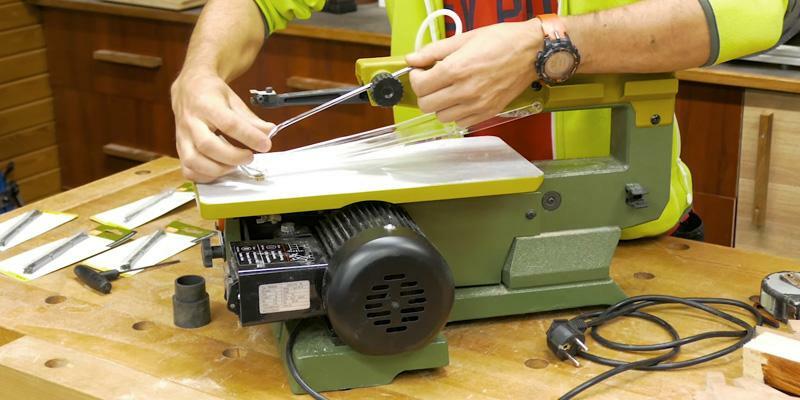 If secured to the base, the scroll saw can be used as a stationary unit and without one - like a portable tool. 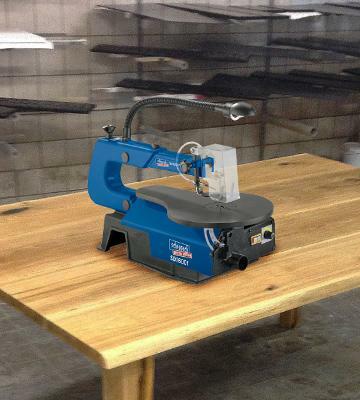 If you're looking for such flexibility of options, you wouldn't find a better scroll saw than this one. It's also pretty easy in maintenance. To replace the blades, it's enough to push a quick change lever once and the blade will be at your disposal. Comparing to more expensive models, the Dremel MS20-1/5 scroll saw is also a much budget-friendly tool with sensible replacement costs. The saw is compatible with a variety of blades from different brands and you don't need to look for a specific type. Summing it all up, the Dremel MS20-1/5 scroll saw can be a great choice for both amateurs and professional woodworkers who need a tool to work with delicate materials and carve beautiful curves and patterns in them. If you are just learning the ropes of carpentry and want to buy an affordable scroll saw, we can confidently recommend you to opt for the Clarke CSS400B. The fretsaw will surprise you with the combination of high productivity and accuracy at quite a moderate price. What's more, it is a fair pleasure to handle the scroll saw as it features a low vibration level and doesn't require any tools for blades changing. Therefore, with this model, any user can perform even the most delicate workmanship faultlessly and change the blades in a matter of seconds. Moreover, a variable speed control makes it easier to conform to a material you are working with and, thus, guarantees accuracy and quick performance. For sure, non-stop operation is the exact description of this scroll saw. 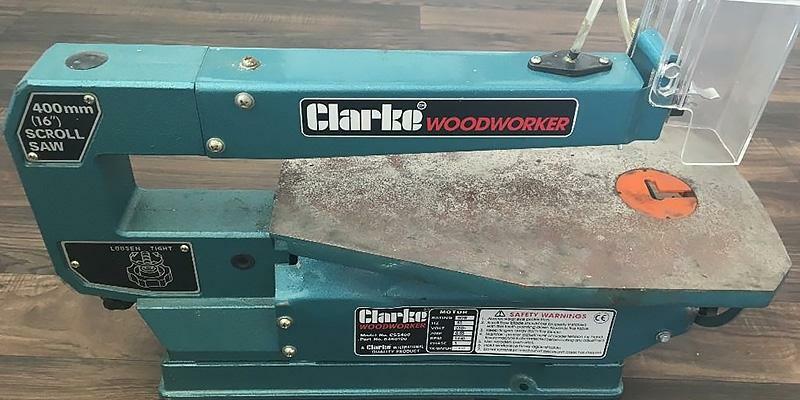 The Clarke fretsaw is the perfect option for beginners as it offers efficient operation along with a user's safety. 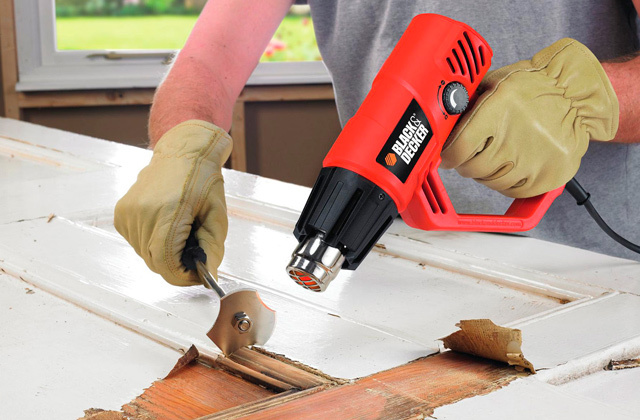 The scroll saw is designed with the adjustable blade guard that protects a user's hands from injuries and ensure that wooden fragments won't get into the eyes. 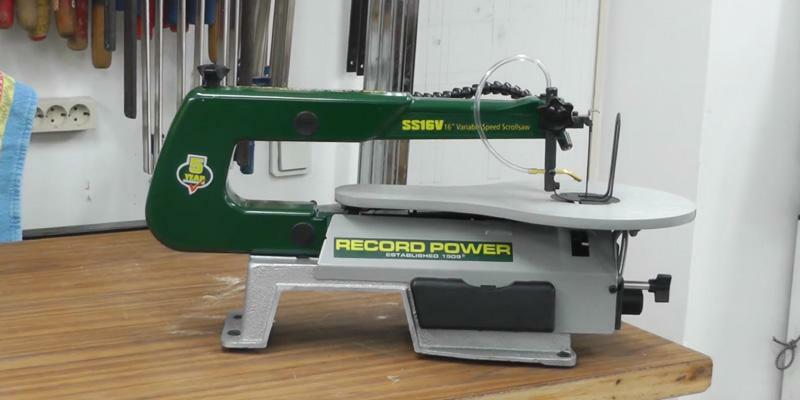 The Record Power SS16V scroll saw is a pretty lightweight model for a fretsaw of its class; thus, it can be easily mounted on a working table or fixed to a stand single-handedly. Moreover, people who work in small workshops or garages and need a portable device that won't take much space when stored will highly appreciate this scroll saw. What we also like about this tool is the ergonomics, in particular, its large table with smoothed out edges, flexible work light, and onboard blades storage. In our opinion, a storage compartment is a quite important feature as when you need to replace a blade you don't have to look for it everywhere since you will have everything always at hand. The scroll saw holder is compatible with both pin-end and pin-less blades, which means you will be able to carve in large wooden blocks as well as create some small patterns on dies. 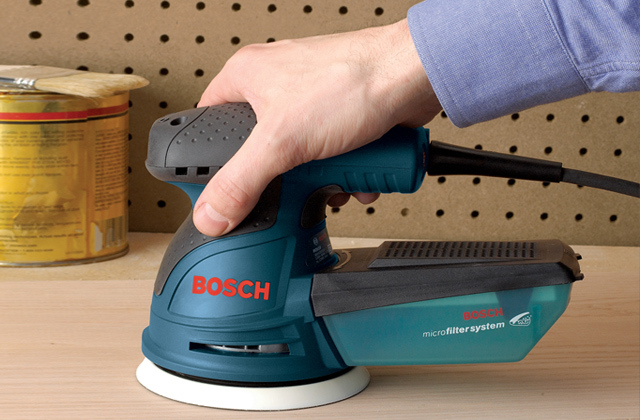 Furthermore, you can handle different materials owing to the variable speed of the tool. 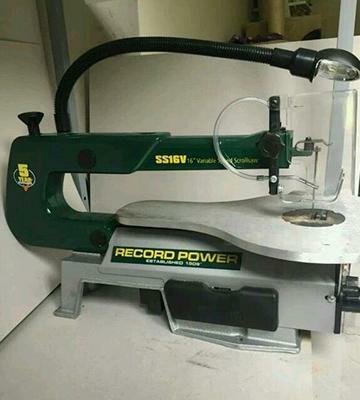 All in all, if you need the most versatile fretsaw, the Record Power model will meet all your requirements! When passing by display windows we often see beautiful things of different shapes and with intricate curves carved in wood, metal or any other material. If that’s the type of hobby you’re devoted to, purchasing a scroll saw would be the right thing to do. 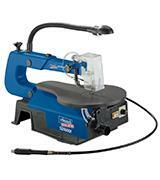 A scroll saw features the type of a blade that suits best for cutting delicate wood, metal, etc. 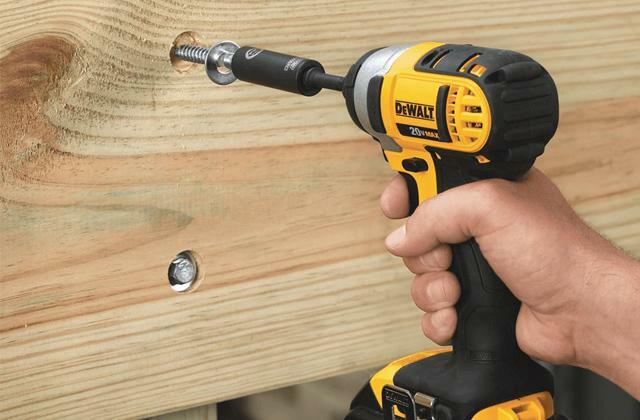 and it’s also much easier to operate too comparing to other home improvement tools. 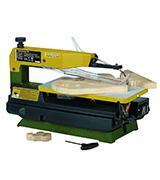 With the scroll saw, you will be able to cut all sorts of patterns and intricate curves in wood, plastic, metal, etc. 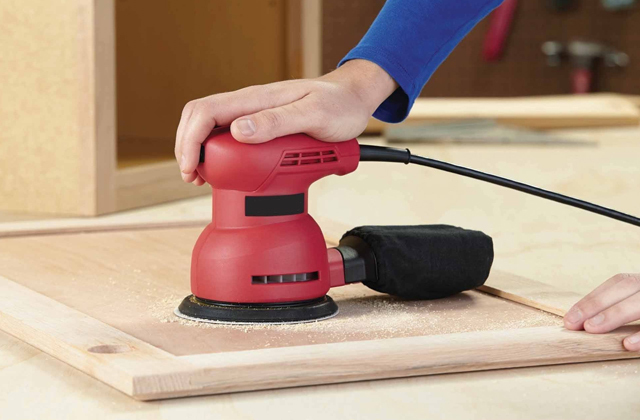 If you work with wood items on a permanent basis, consider buying one of the orbital sanders for finishing surfaces and removing minor rubs. 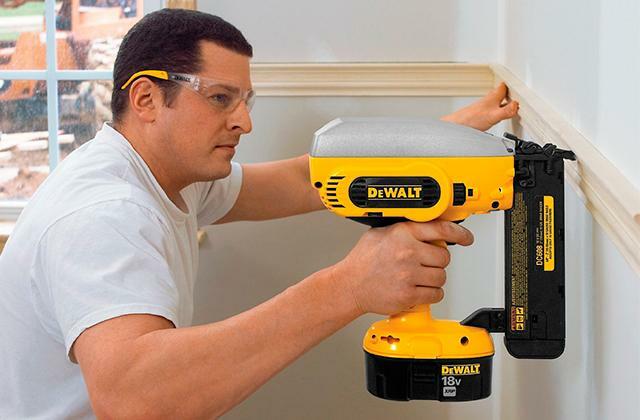 If you wish to make the process of nail driving easier and faster, you should definitely opt for finish nailers. 1. 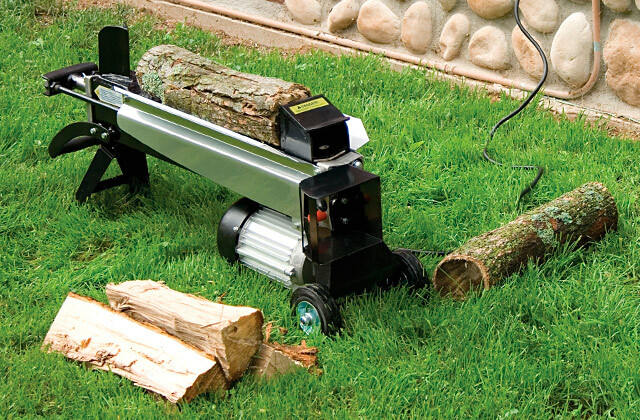 Scroll Saws Buying Guide, eBay. March 3, 2016. 2. Choosing Scroll Saw Blades, Woodcraft. 3. Scroll saw and fretwork vector patterns, Craftsmanspace. 4. Scroll saw, Wikipedia. November 18, 2016. 5. How to Use a Scroll Saw, wikiHow.